Cebu Pacific Promo Fares: Have you counted the days before the holidays on your calendar? You might be thinking of a holiday vacation anywhere in the Philippines. Well, today, you have 88 days 'til the Yuletide season. Perhaps, you could gift someone a plane ticket to come home and be with family to celebrate new year or you may take one as a personal present and give yourself a new year treat. The nice thing about this announcement is that Cebu Pacific has released low promo fares that you can avail. 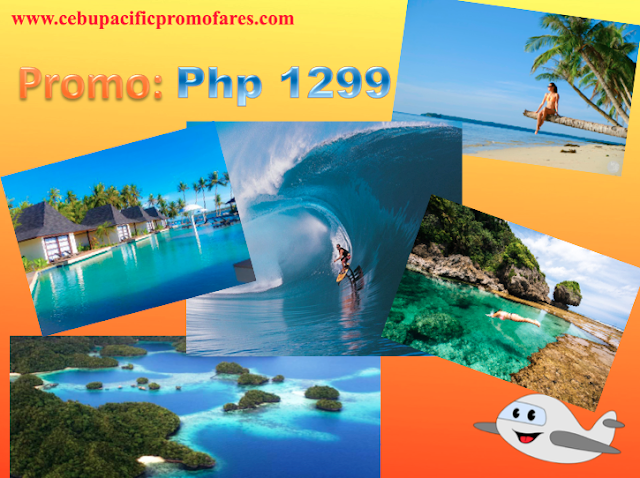 Promo Fares are usually flighs or routes bound in the Visayas and Mindanao regions. But don't be disappointed, there are still cheaper plane fares for other domestic destinations, and event international destinations. So are you ready to check which destinations are on promo? The cheapest you can get is Php 599. With this ticket fare, you can either have an early Summer trip for next year 2018. 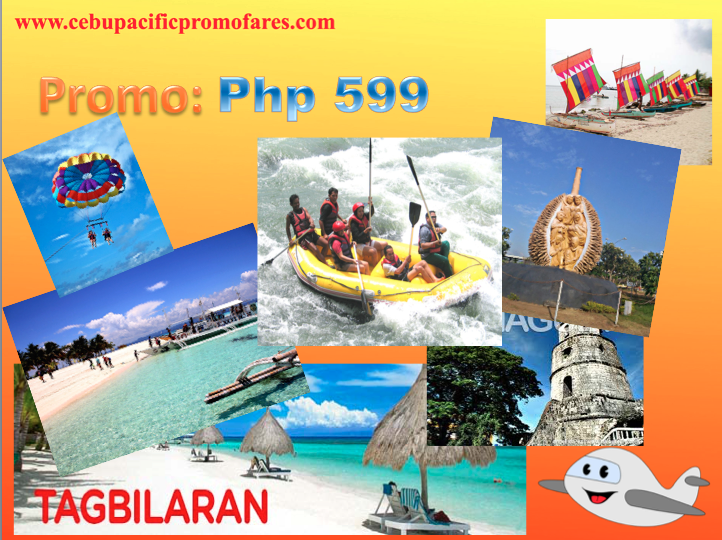 There are a number of promo fares if you plan to check Boracay via Caticlan. You know what to do there. And there is Dumaguete city that is home to the best silvanas you can taste in the region or perhaps, in the country. Zamboanga is actually a peninsula. So expect waters surrounding the island. Cebu Pacific Promos: To all our fellow travelers, where you able to book your tickets in the previous weekend sale? If not, don't be sad. There is still more promos you can avail. Or perhaps, you may want to shift to a new itinerary to a new destination? It is because, new Cebu Pacific Promo fares have been introduced until September 27, 2018. One thing you might want to try is go on surfing or just wake boarding in the Surfing Capital of the Philippines, Siargao. Also a lot of tourist attractions are waiting for you when you visit the province. If you haven't embrace the beach last summer, maybe it's your time to do so in the southern part of the country? We will share with you some top activities that you can do while in Siargao. It will be possible for you to visit the island on board a plane, so this time, with Cebu Pacific as the airline is currently offering a promo below Php 1500. So are you ready on what will you do when you're in the island of Siargao? 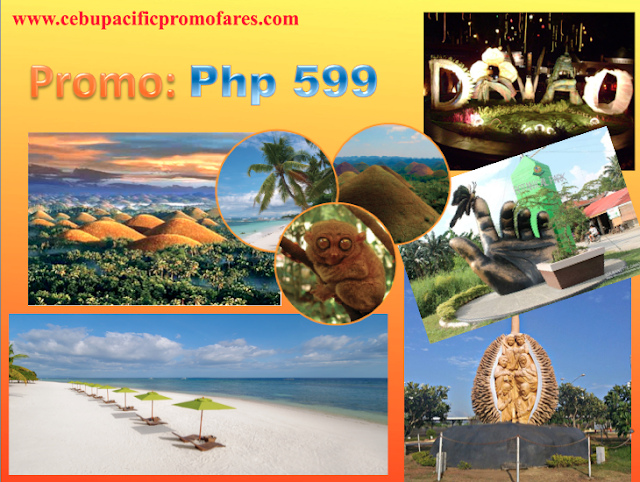 Cebu Pacific Promo Fares: To our fellow travelers and jet setters, here's something you can avail now. Cebu Pacific is still sticking to their cheaper promo fares at Php 599. But this time, it is limited to a flight from Davao to Tagbilaran (Bohol). The rest of the routes are still on promo but on a much greater fare value. If your trip is coming from Cagayan de Oro, Cebu, or Davao, you might be able to enjoy some affordable flight benefits in some select destinations. For Manileños who wish a different kind of island tripping, one option is to visit an Island in Romblon called Tablas. The island itself has its own domestic airport. But then again, Davaoeños will have their opportunity extended to explore the island of Bohol and maybe get some selfie with the Chocolate hills as their background. The promo seems to be for just a one-way flight from Davao to Tagbilaran city. You may experience the Philippines through its different natural tourist spots! Affordable Fares of Php 599 is back! Cebu Pacific Promos: What to do you do during payday? When it is also a friday and falls on the 15th? One perfect thing is book a plane ticket courtesy of Cebu Pacific and avail the lowest fares on promo as much as possible. As of today, their Php 599 promo fares is back to some select domestic destinations. So brace yourselves, sweeties. Oooops, before anything else, make sure you have a good stable internet connection and a nice keyboard. Hopefully, the keys are still in tact. As usual, seat sale are available for flights bound to Visayas and Mindanao. You may continue reading for the details below. Still the hottest and most-visited tourist attraction of the country is guess what? You might be correct, Boracay! So those from Cagayan de Oro, Clark and Cebu may enjoy this advantage to book this cheaper fare of Php 599 which is an all-in, one way fare! 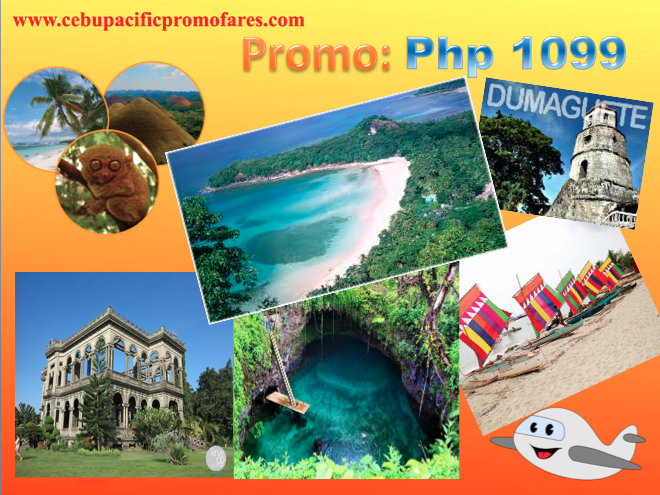 But of course, there is Dumaguete, Davao, Masbate or Ormoc too for that matter. There is more actually. Below is a complete list of flights on promo. Cebu Pacific Promo Fares: It's the weekend! And what does this means? It means, it's time to sit back, relax and book promo fare tickets! Other airlines might have a plan to launch their lowest fares, CebuPacific has also a surprise to the millions of passengers that they have. Cheaper fares are readily available all-in in most domestic routes. Those coming from Cagayan de Oro, Cebu, Davao will enjoy or benefit this current promo fare ticket by Cebu Pacific. However, there are a fewer available promo tickets for those coming from Manila. But don't fret! Continue reading below and you will find cheaper fares too! Again, travel period of this promo is until the end of this year! Take advantage of it folks! We would highlight that you may try to explore the wonders of this archipelago. 1. Bohol: Expect the Tarsiers, the smallest primate in the world. Of course, the island is famous for their Chocolate Hills! And definitely, a lot more. 2. Surigao: Found in this place is the what they call the Enchanted River! And yes, it's really mystical! 3. Bacolod: The city of Smiles will be celebrating the MassKara Festival next month. Known for their Chicken inasal and other Ilonggo delicacies like the piyaya. Cebu Pacific Promo Fares: Do you know the next big festival next month in the country? It's one of the famous festival in the Visayan region celebrated during every fourth Sunday of October. Do you have a guess? Will give you a clue, the city of smiles, Bacolod! Now, we know what's on your mind! It's the MassKara Festival. And you're trying to find a promo ticket so you can fly to the city and check the festival itself! Don't worry! 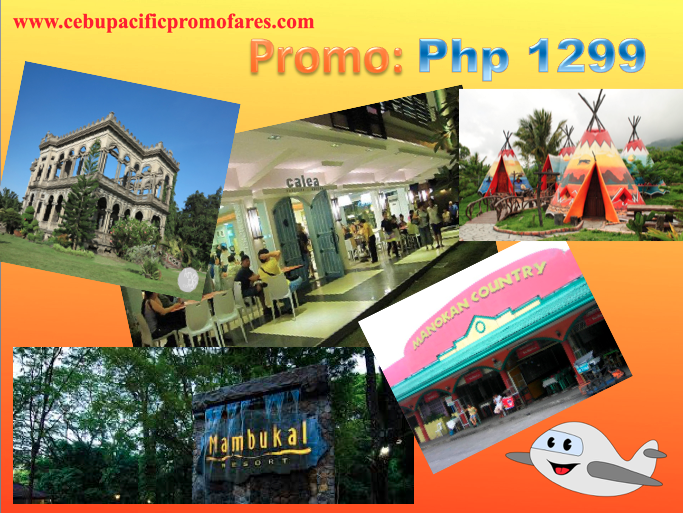 There's a current Cebu Pacific promo fare from Manila to Bacolod for only Php 1299 All-in, one way fare! We think, you should grab this opportunity. There are a lot of things, food places, and activities to do in Bacolod! Of course, when you travel, the best way to know the culture of the city or region is to try their local cuisine and the specific dish they prepare. And in the city of smiles, it boast a lot of the best tasting dishes in the country. Bacolod is known for the Chicken Inasal dish. It's like grilled marinated chicken (with its secret marinade) and paired with atsara (papaya salad). You can check the famous Manokan Country in the city.